I have blogging buddies that range from 20 through 70. I thought it would be fun to take a fall trend and see how we style it through the decades. I love fall. But, living in the Midwest it's a love/hate relationship. Fall is all about sweaters, boots and jeans..............Just when you thought you were in fall-love. Wham! Winter comes blasting in. Now your wearing 2 sweaters with a big heavy coat. And those cute fall boots, well they better be equipped to handle snow and ice or you'll be on you can in a minute. This is my first link so I have my fingers crossed that all will go well. Usually if it's possible to screw something like this up I'm your girl for the job. The only think I ask is that you list your age by decade (20's, 30's etc) by your name or site name on line 2. If this goes well I would also like to assemble all of the participants photos into one spread of course linking back to your site. I'm being positive that there will be more than one entry! Join in for fun and show us how you Trend your decade with Jewel Tones. What an improvement in youre blog, wowwwwwwww fantastic. I leave you my email just in case you need me. this is fun, love your scarfs, so beautiful. And you look absolutely stunning in those colors! I want to know how you do your hair .. .how do you get the spiky look without it looking crazy? I know I made some typos in this post. I was afraid if I changed anything I would jack up the link. So what ya see is what ya get! 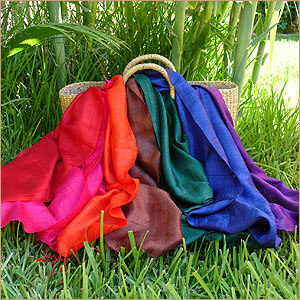 Love the jewel tones on you--they are your colors--as in color-me beautiful colors! gorgeous look! I love your dress! !Great blog!! I fallow you! I'm so sorry that I was on my little blogging break when you started this link up! I actually picked out my jewel toned outfit and was on my way to let you know that I'd photograph it tonight when I saw that the link up is closed already. How long do you plan on keeping them open? Let me know so I can plan for this week! Jewel tones look so good on you, Tammy. I think yu should wear them more often. This is a fantastic idea for a link-up! Sorry I missed it! Will they always be on Fridays? I love jewel tones and your dress is beautiful! Love the pink scarf to accent that jewel-toned-color! This is such a fun idea!! You look fabulous and I just love your bright scarf! However I had to stop and say that is a gorgeous dress. The colors and how you styled it !